All Brick Ranch, only 3 years old. Full Walk out basement with office area. Family room with custom corner gas fireplace, & still plenty of storage. Split bedroom design. Unique kitchen with upgraded appliances, open to the dining area & Great room, all with vaulted ceilings. Mud room with laundry area. Master bedroom suite with large walk-in closet with special organizers. Over sized two car garage. Lots of blacktop parking. Nearly one acre lot. Country setting. Easy to show and occupy. Direction: Hwy 31W to Hwy 60. Turn right onto Hobbs Reesor. Home on right. 1784 Hobbs Reesor Rd, Vine Grove KY 40175 is a Home, with 3 bedrooms which is recently sold, it has 2,542 sqft, 0 sized lot, and 2 Car Garage,Attached,Entry Rear parking. 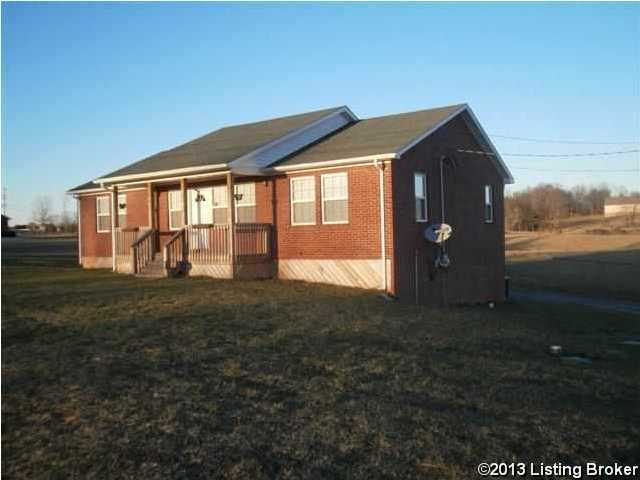 A comparable Home, has 3 bedrooms and 1.5 baths, it was built in and is located at 413 Knox Ave Vine Grove KY 40175 and for sale by its owner at $ 129,000. This home is located in the city of Vine Grove , in zip code 40175, this Hardin County Home, it is in the NONE Subdivision, and JENNINGS KNOB are nearby neighborhoods.